I am using Luakit on Arch Linux. Visiting the page from Mozilla Firefox doesn't have the issue. I also asked some other users, they doesn't have the problem. I tried hard refresh (Shift+R), that doesn't help. The problem only happen recently. 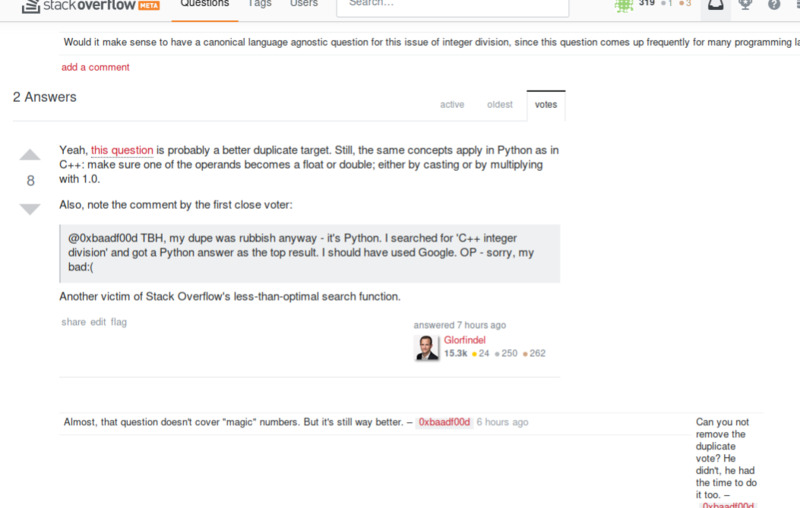 While we don't technically support your browser, work is undergoing to revamp some layout stuff including comments. We're testing this pretty thoroughly with all supported platforms, but we also like to help make sure we don't break unsupported browsers if not breaking them comes with no additional overhead. We worked extremely well on old versions of IE for years after we stopped supporting them, for instance, just because it wasn't too much work to keep compatibility. Please don't expect this to be fixed, the issue is in fact your browser, but this is a useful bug report as it points out a way that we might be able to degrade into unsupported land a little more gracefully. Not the answer you're looking for? Browse other questions tagged bug status-declined design comments . Where did comment links and timestamps go?